One of CNN’s newsrooms in New York City that serves as the backdrop for live news programming is slowly being dismantled. 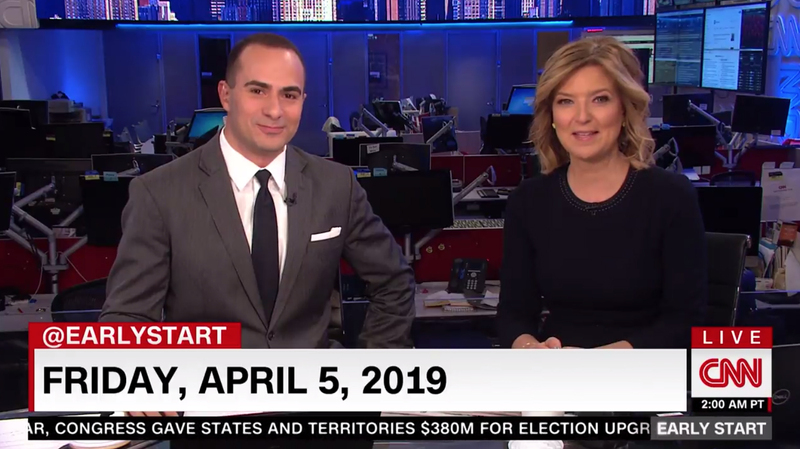 CNN is in the process of moving to its new New York offices and studios from the building originally known as Time Warner Center into a new facility in the Hudson Yards development. On Friday, April 5, 2019, the newsroom appeared mostly intact — with rows of empty desks and darkened monitors on flexible arms dominating the view. By April 10, most of the monitors have been removed, with the gray monitor arms, which are built into the desks, left behind. With the most prominent exception of a workstation visible in the lower right corner of the screen, it also appears most workstations have been cleared of personal items as well. Presumably the monitors are being either moved to the new building or have been removed and are being scuttled by the network as it prepares to vacate the space. According to multiple tweets from CNN staffers and on air personalities, the move to the new building is being done in phases. In addition to workspaces for news staffers, the offices for most of WarnerMedia, CNN’s new parent formed after the merger of AT&T and Time Warner, are relocating to the Hudson Yards. 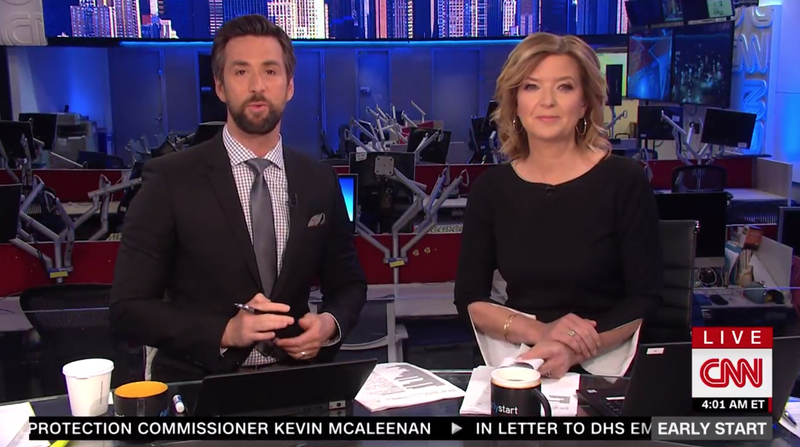 Back in 2017, Fox continued broadcasting from in front of a mostly empty newsroom set until finally taking it offline for the installation of a new set and newsroom in the space. Time Warner announced the sale of Time Warner Center back in 2014 and the CNN logo was taken down in July 2015. The skyscraper, which is now marketed as 3 Columbus Circle, was partially evacuated in October 2018 after a suspicious package was delivered to CNN.